1.) 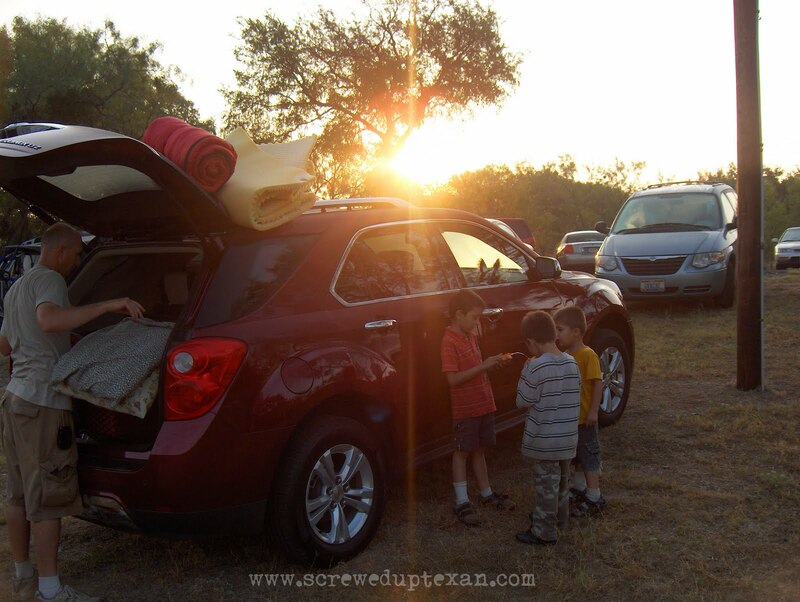 What is your favorite feature of the Equinox? 2.) What feature would you not take away from the Equinox? Which is why I should be fired. A few days later I received an email from a General Motors’ employee asking if I’d like to reinterview Tim Herrick over the phone so he could answer the two questions above. I thought about it for a day and then told them: Sure! Why not? I mean, what’s the worse that could happen? We’re not on the back of a golf cart so it’s not like he can throw me off for having a weird sense of humor. Once the interview was scheduled, I went to my readers and friends on my Facebook page and asked y’all what I should ask Mr. Herrick, General Motors’ Global Chief Engineer for Global Crossover Vehicles. Mike suggested I ask Tim if he gets paid by the letter in his job title–and I almost did just to be funny–but I let that one rest for now. I should probably also note that most of the questions I asked Tim came directly from Mike, cause we all know I am not smart enough to come up with professional questions myself. Note: I should probably also admit that I don’t know how to record interviews over the phone, so I wrote everything I could that Tim said onto a piece of notebook paper. Later, I had to decipher my own scribbled handwriting, so the following may or may not be an exact account of my conversation with Tim Herrick. Me: How does General Motors (GM) define a Crossover? Is is basically an SUV on a car chassis? Tim Herrick: Yadda yadda yadda yadda. Something very technical here. Yadda yadda yadda. Me: Um…that just went right over my head. I didn’t get a thing you just said. Could explain that in simpler terms? Tim: Well, okay…What kind of vehicles do you own? Me: A Ford minivan and Ford truck. Tim: Well, if you look underneath your minivan, you’ll see that it is not built on a frame which means that it will pull less than your truck. A truck is built on a frame, like an SUV, and can carry and pull much higher loads than your van can. A Crossover is somewhere between a car and a minivan, but in the shape of an SUV. It is lighter in weight, steers and handles like a car, but also gets much better gas mileage than what is typical in a minivan at the same time carrying and pulling much of what your minivan can. Me: Why such an aggressive Crossover strategy? Tim: We have the largest growing segment of Crossovers on the market. The Traverse, Enclave, Acadia, Equinox, Terrain…the Crossover market is growing and we are growing with it. Me: Have you ever had a so-called Mommy Blogger interview you? Why do you think it is important to obtain insight from mothers on vehicles they are likely to purchase? Tim: Well, from a non-engineering standpoint and from my interactions at Texas Motor Speedway where not one mainstream media outlet interviewed us, what I got from that experience is that GM is gaining traction on what’s important to our customers. Women make over 50% (and I think that percentage is higher–perhaps even 60-70%) of the purchasing decisions in a household. Women tell us what they want in terms of features for vehicles. Women also take into consideration the value and safety of a vehicle they are purchasing. As a mother, you understand the importance of safety when researching vehicles. Not only are we the safest company to be working for (we begin each of our big meetings going over safety), but we have the safest vehicles to purchase. Me: Of all the things I forgot you said when you answered my questions at Texas Motor Speedway, I remember you mentioned the word “safety” at least three or four times. How would you rate the safety of GM’s Crossovers? 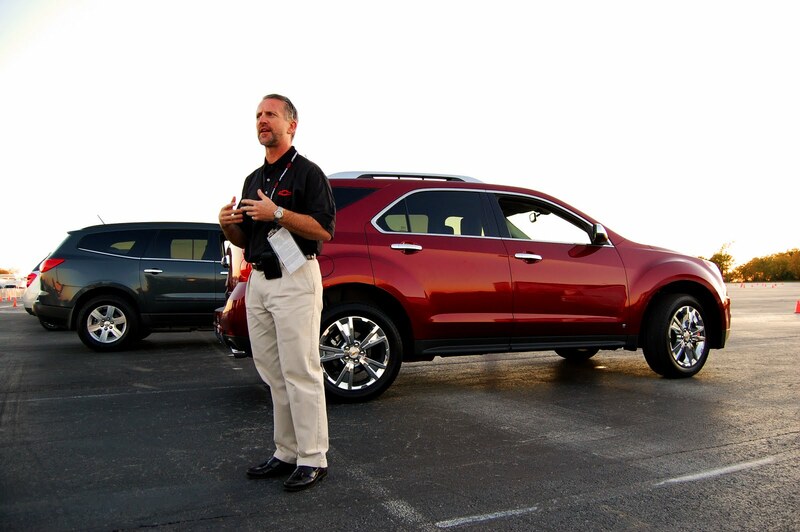 Tim: Our Crossovers have the highest safety ratings and meet all new standards of safety. Our Crossovers have received 5 stars across the board. 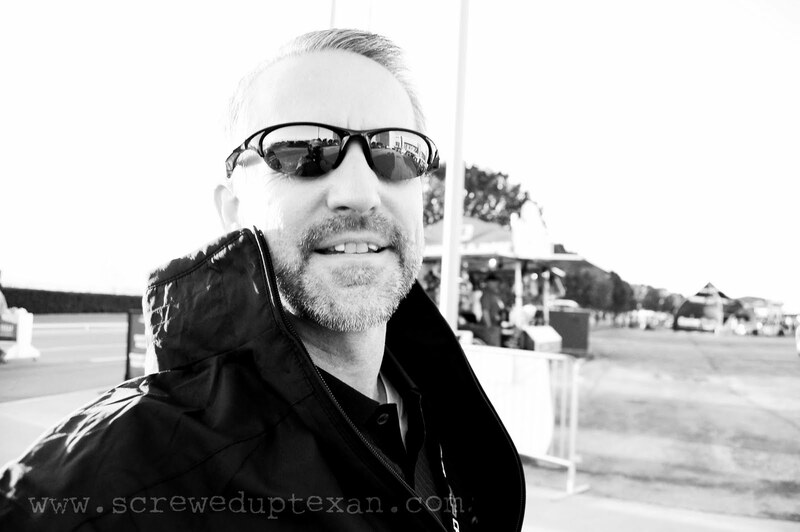 Me: If I send you the photographs I took of you at Texas Motor Speedway, would you sign two and send them back to me? Me: Well, did you see the photographs I put up of you on Flickr? 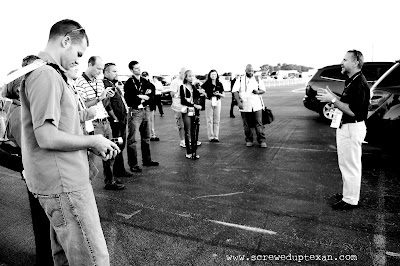 Tim: Not sure if it was Flickr, but I saw one that you put up of me on your blog. I really liked it and showed it to my kids. They teased me about it. Me: Oh good! Well that’s the one I want you to sign. I want one since I reviewed the 2010 Equinox, which I love by the way, and my friend, Andie, wants one to hang in her Equinox. It’s blueberry colored. Tim: Sure! I’d love to! Post Script: I still forgot to ask Tim Herrick the original two questions (see above). So pretty much, if you want the answers to those questions, you’re going to either have to ask Tim yourself or maybe he’ll leave his answers in a comment on this blog. Post Post Script: I may or may not have misquoted Tim in this interview, because again I had to read through my really bad nervous handwriting when typing this post. PPPS: Those photographs are in the mail like yesterday. i cant wait for my picture!!!! tim is cool! Annalisa, Thanks for the suggestions and answers. I personally love the drinkcup liners and the space in the rear where my family could easily store all our camping gear. The Equinox was a fun vehicle indeed! Thanks for the 15 minutes of fame, too.